At Kate Preston Hair and Beauty Salon we have been awarded our third prestigious Master Colourist trophy by Goldwell, the international styling and hair care organisation. Goldwell brands are part of KAO Worldwide which leads the beauty and health industry globally from its headquarters in Tokyo. Jenny Cornish is our third stylist to achieve this award following Kate (owner) and Claire (Director Level Stylist) in the salon. 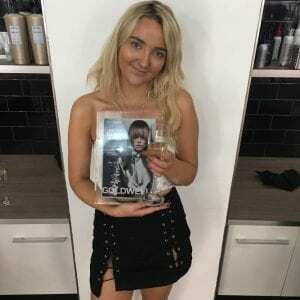 Becoming a Master Goldwell Colourist – Jenny’s experience. 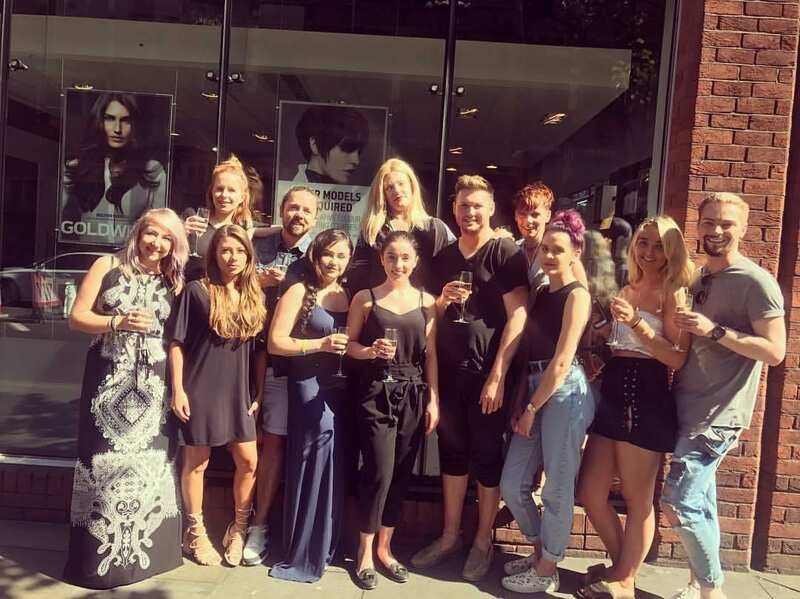 ‘’Having worked at Kate Preston three years now, I was lucky enough to be the youngest stylist within the salon to be offered the opportunity to undertake the Goldwell Master Colourist Course in London at Goldwell HQ. I can’t thank the salon enough for this amazing opportunity, especially Kate who has supported and helped me through every step of my hairdressing career so far. The actual course itself was two days a week for six weeks so as you can imagine it was very intense and a lot of information was crammed into two days. In the sessions, our teacher went into great depth about hair science and the actual reason why we do the things that we do in our everyday work. We also had different case study tasks each week and a presentation to the rest of the group. For example, the first week we had to compare box dyes to the salon experience and colours we use in the salon which was really interesting to research about. We also had a test to do every week on the hair science that we had learnt about the week before. We did a lot of practical work on models which as a hairdresser you can imagine that was my favourite part due to the freedom we got to experiment and try new things. On the last week there were two exams, one practical and one written both of which were very challenging especially the written tests as this wasn’t my strong point! However, I came on the course to challenge and push myself out of my comfort zone which is definitely what I did and was delighted to when I heard that I passed. To end the six weeks we celebrated as a team with champagne and no one wanted it to end! Everyone that I met on the course I have become good friends with and it was said to say goodbye after the six weeks. All I took from the course was positives, I learnt so much and feel so much more confident in my hairdressing skills, I can’t wait to now carry on working at Kate Preston’s and putting my new skills and ideas into practice’’.